So this is going to be a sort of rant but also about what we did for Earth day. The bus stop was a MESS. It doesn’t help that our City doesn’t have a garbage bin or ash tray there. People are soooo lazy they can’t hold onto their trash and wait for a proper place to dispose of the garbage. Instead they throw it just before getting on the bus or just as they are getting off of it. But the MAIN thing I picked up, and let me tell you I filled half a grocery bag full of it, was cigarette butts!!! Here’s the rant. I hate that people have to smoke in the first place. I hate it even more when they think it’s their right to do it in my air space but I LOATH it when they think they have a right to throw their butts on the ground. 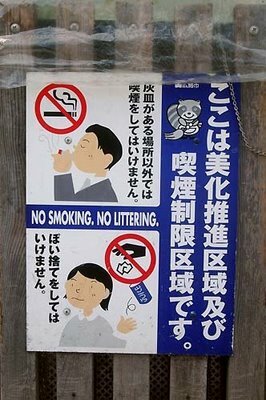 Littering is littering, there are laws about it. I knew someone who got pulled over and ticketed for littering for throwing an APPLE out their window. An Apple!!! What about all the idiots who throw their cigarette butts out their window? Please don’t tell me, it’s such a small thing, what would it matter. My proof is from today, just one small bus stop filled half my bag!!! Think about the whole world and all the butts, how many bags will that fill? So if you HAVE to smoke please have SOME respect for others. 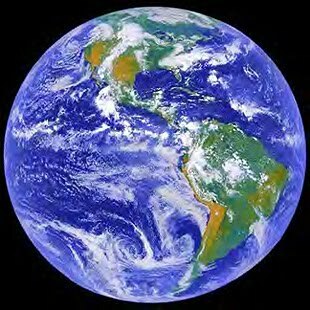 Think about it before you use the Earth as your personal ash tray! THANK YOU!!! had to post this sign I found online. *** And this isn’t directed to all smokers because I know of a few that are considerate of others around them and the Earth. Thank you to those people.